The University of Aveiro (UAVR) is one of the most dynamic and innovative universities in Portugal, the best in the country in terms of the scientific publication outcome. About 17% of the outcome is contributed by the Department of Materials and Ceramics Engineering (DEMaC). The main areas of research that is carried out in DEMaC go through synthesis and study of nano and micro structured materials, corrosion and its prevention, biomaterials and functional coatings. Development of materials for more efficient energy systems is also a priority research area. Researchers of DEMaC are members of CICECO – Aveiro Institute of Materials. As a research unit, CICECO was created in 2002 with the mission of developing the scientific and technological knowledge necessary for the innovative production and transformation of ceramics and organic-inorganic hybrids. CICECO now is the largest Portuguese institute in the field of materials science and engineering. The University of Duisburg-Essen (UDE) is located in the European region with the highest density of institutions of higher learning. Created in 2003 by the merger of the universities of Duisburg and Essen, the UDE is the youngest university in North Rhine-Westphalia and one of the ten largest universities in Germany. The Institute of Materials Science at the University of Duisburg-Essen offers a broad scope of research and education of materials science to civil engineers and to general materials scientists. It is specialized in design and investigation of non-metallic functional nano-materials, organic-inorganic and multiferroic composites. The Institute is a member of CENIDE, Centre for Nanointegration Duisburg-Essen, which links more than 50 groups working and teaching in the field of nanoscience and nanotechnology. CENIDE was founded in 2005 with a major goal of developing and marketing nanoscience in the university, industry and the state of North Rhine-Westphalia and beyond. 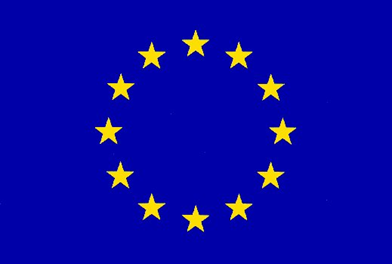 Science & Technology Facilities Council (STFC) is one of Europe's largest multidisciplinary research organisations supporting scientists and engineers world-wide. STFC operate world-class large-scale research facilities, provide strategic advice to the government on development of large-scale science facilities and manage international research projects in support of a broad cross-section of the UK research community. ISIS is a pulsed neutron and muon source owned and operated by STFC, which supports a national and international community of more than 3000 scientists for research into subjects ranging from clean energy and the environment, pharmaceuticals and health care, through to nanotechnology and materials engineering, catalysis and polymers, and on to fundamental studies of materials. 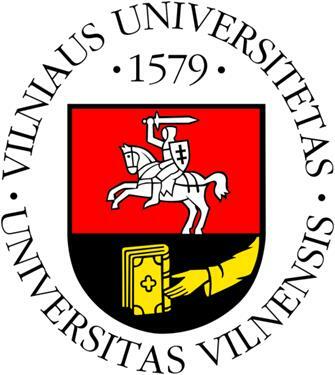 The University of Vilnius (VU) is one of the oldest and most famous establishments of higher education in Eastern and Central Europe. It has 12 faculties, 7 institutes and 4 study & research centres. Physics, as a part of Aristotle philosophy, was taught from the establishment of Vilnius University in 1579. Today the Faculty of Physics is the largest centre of physical studies in Lithuania. The teaching of Chemistry at the University was introduced in the 18th century when Department of Chemistry was founded. Nowadays the Faculty of Chemistry comprises 6 Departments. The main research trends of the Faculty are: electrochemical processes at the interphase solid electrode/electrolyte, development of analytical methods and instruments for the analysis of environmental and industrial objects and synthesis and investigation of inorganic, organic and polymeric compounds. Department of Radiophysics of the Faculty of Physics and Department of Inorganic Chemistry of the Faculty of Chemistry are among the most successful Departments of the University in terms of research and scientific output. 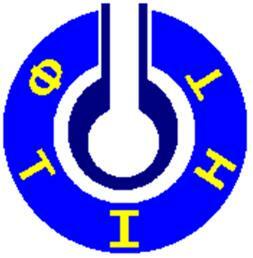 The Helmholtz-Zentrum Geesthacht (HZG) is a non-profit making research institute, a member of the Helmholtz Association of German Research Centres. In the Institute of Materials Research at HZG, more than 160 employees work in the 4 research divisions, "Materials Mechanics", "Materials Physics", "Materials Technology" and "Magnesium Innovation Center Magic" Embedded in the Helmholtz Research Fields "Key Technologies" and "Structure of Matter" the Geesthacht scientists at the Institute of Materials Research develop ultra-light-weight materials and innovative process technologies for the application areas in transportation, implantology and regenerative medicine, as well as energy storage and conversion. Smallmatek - Small Materials and Technologies, Lda. 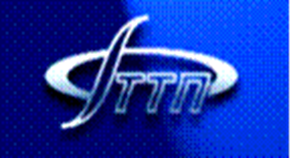 (SMT) is a R&D company that is dedicated to the monitoring, characterization and development of functional coatings for corrosion and biofouling protection, using new and innovative nanotechnology solutions. Its main activities include upscalling of synthesis of nanostructured materials, coating testing and optimization. The Scientific-Practical Materials Research Centre (SPMRC) of the National Academy of Sciences of Belarus is one of the largest research centres in the country. SPMRC comprises 6 research institutes and other organizations over the country, including Institute of Technical Acoustics (ITA). The Centre is focused on development of new magnetic, ferroelectric, semiconductor, metallic, superconducting, super hard and optical materials in the form of crystals, ceramics, disordered systems, and nanostructures. B. I. Verkin Institute for Low Temperature Physics and Engineering (ILTPE) of National Academy of Sciences of Ukraine is one of the leading research centers in Ukraine in the field of Solid State Physics, in particular, in the development of new materials. The Institute has more than 50-years history of successful scientific activity which embraces practically all subjects of modern Low Temperature Physics.